The Boise Phil, a 150+ member philharmonic orchestra, sought to increase ticket sales and engage a new audience base to grow and fund programming and musicians. Through the development of a strategic marketing plan and pairing that with a refreshed brand and suite of branded assets, the Boise Phil was able to move into the 2019 season with a clear vision for success. 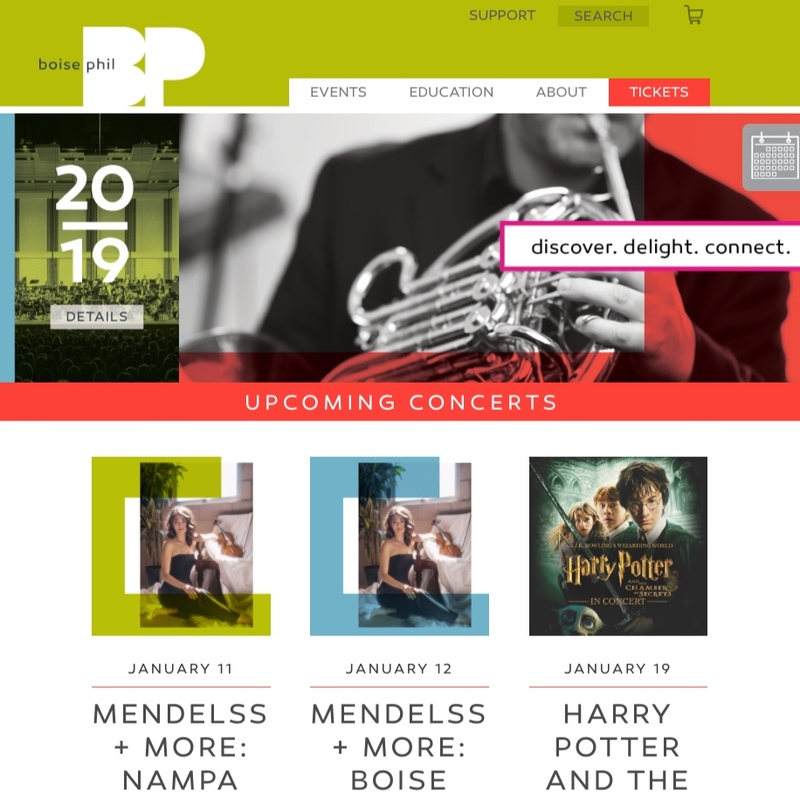 Development of a robust marketing plan for implementation in the 2019 Boise Philharmonic season, with phased implementation of marketing activities as deemed possible by Project team. Creation of a comprehensive marketing plan to align strategic objectives, budget, and tactics to reach stated goals. Using the strategic marketing plan and strategic plan, our team developed a new visual brand (logo, color palette, etc.). During the logo design process, the team did a UX/best practice study on the Boise Phil website and worked with the in-house and our own developers to create a new, responsive website incorporating both the visual and written brand elements. Refinement of marketing plan that aligns with the 2019 programming. Consultation with Boise Philharmonic board and staff to prioritize strategies and tactics and incorporate additional ideas/strategies/tactics to align plan with 2019 programming, organizational needs, budget, and resources. Will include detailed information on marketing tactics, social media strategy and tools, and other promotional development details.